Studies contradict how people are really interested in shopping and buying items. Owning an online website or store takes a lot of work and marketing techniques. Many still consider the "in your face" type of marketing the way to go. However, there is a demographic that could care less about the blatant marketing and would enjoy hearing more about interesting people than 70% off coupons. 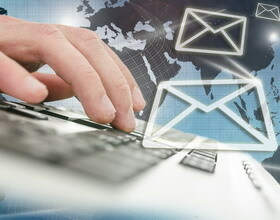 Targeting your audience with emails as a marketing tool is important to any business. The campaign you use does not have to be all about sales. The following is about targeting your audience with informative emails using interesting people. One of the first things you learn about marketing anything whether it is a website or email is to relate a single topic to the site and sell to a specific demographic. This has not changed except that you can now have multiple marketing programs in place to target your audience. Any email you send out needs to relate to your business even when it is informative. You cannot use the concept of interesting people where you talk all about celebrities in the email and you sell a new type of deck screw. The target audience will be disappointed that you chose a trick to get them to open the email. Today almost anything can be interesting when it is about a person. Consider, Dancing with the Stars for a moment. This season they have a blogger on as a celebrity. Her YouTube videos have gone viral. This means if you find a blogger on a topic that relates to your business, who is informative it could be the very thing your consumer wants to read about in an email. Guest speakers, motivational speakers, writers, and anyone out there that is on the Internet may be interesting enough to gain the attention of your readers in an email. Once you have an appropriate topic and search out the right fit for this email, it is time to set up the email message. This is where soft marketing procedures come into play. Your idea is not to sell the person your business products or services. Instead, it is to create a worthwhile message that will not end up in the spam folder. You want to provide exactly what you promise in the email subject line. Attach the link, the video and quotes from the person of interest you are talking about. A proper introduction in an email is going to give the answer right away. This should be your direct answer. You have created a subject line and now you need to promise exactly what you are delivering by introducing the video, blogger, or motivational speaker. The body of the email will expound on the topic explaining more on the why they are interesting people and might be worthwhile to investigate. At the end you are still going to ask them to visit your website so they can see what else you are willing to share. Even if you sell versus provide information, you can still have informative blogs, newsletters, and emails. By telling the reader you have something they want to read, showing them in the email that you do, you can gain their attention. What you create as the email by using interesting people as the topic is a clear message that you care about your readers. You understand that they don’t want to be oversold to. You appreciate their intelligence and they will remember this. An example is a very larger retail even after a year of the consumer using their product, returned the money in full even without a receipt. This makes the shopper want to go back. Your email message can make the reader think of you over the competition.